Hailing from the abysmal forests of the mystic north, Belzebubs have possessed a stealthy cult status throughout their existence. Originally summoned together in 2002, the band has succeeded in creating a thrilling blend of melodic black metal, guttural growls and vivid solos, forged with progressive twists and cinematic soundscapes. 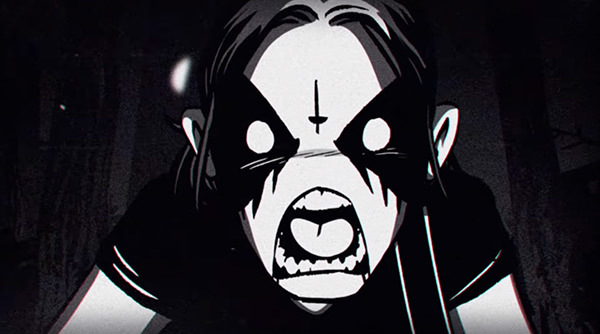 Accompanied by a new drummer and a three-record deal with Century Media Records, Belzebubs finally feels fit to take on the (under)world. "We are extremely proud to sign with Century Media on their 30th anniversary year, joining the likes of Watain, Tribulation, Moonsorrow, Insomnium and Rotting Christ, just to name a few. We have been busy composing new material and can't wait to get in the studio (and tour!?) with our new drummer Samaël, who's brought a tight, progressive twist to our gritty yet melodic sound." From tomorrow on, "Blackened Call" will be available on all streaming and download platforms both as a digital single and a strictly limited 7-inch vinyl (500 copies worldwide).